I wrote yesterday about how Democrat leadership, embodied by Nancy Pelosi and Steny Hoyer in the House, caved immediately and totally to pro-Israel interests and planned to throw Rep. Ilhan Omar under the bus with a condemnatory resolution…until pushback from the left made them re-think their strategy, to the point that the resolution was delayed. Now, if it even passes, it will be the “blandest possible “anti-hate statement which Pelosi insists doesn’t target Omar. Here are those statements broken down by candidate. There are a couple conclusions to draw here. First, the pressure mounted from the left changed the terms of this debate, and freed up these three candidates to speak their minds about how Omar was treated. 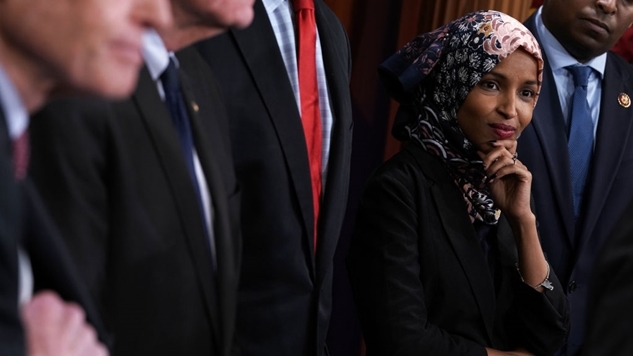 The statements condemned anti-Semitism, but took the critical next step of overtly stating that Omar was not guilty of that charge. A move like this was previously unthinkable for a legitimate presidential candidate—you simply didn’t even begin to think about making noise that departed from the hard pro-Israel line. Second, top Democrats are finally realizing the absurdity of the attacks against Omar, and further understanding that their constituents won’t accept what is essentially political bullying in the service of a foreign power. Third, they seem to understand that it’s actually dangerous to treat Omar this way, and it leads to death threats and people like the West Virginia GOP equating her with the 9/11 terrorists. These developments—all of them—are very surprising, and very good.